The colour Pink has many meanings such as sweet,romantic,charming and feminine. We also associate Pink with new baby girls,bubblegum,flowers and Cotton Candy. 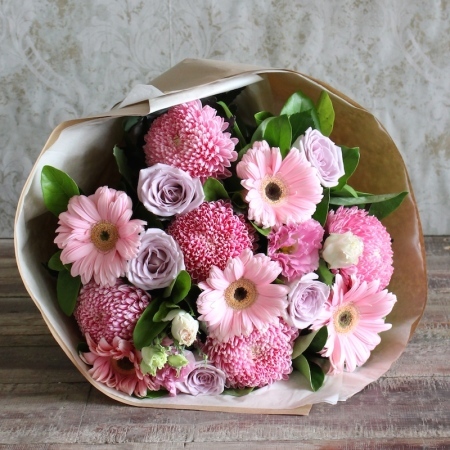 `Graceful Pinks` is a combination of our prettiest pink blooms picked fresh from the farm! What an elegant way to show that special someone how much you care. Perfect for all occasions this bouquet will be wrapped in natural brown paper which is of course reusable and can be recycled. A gorgeous addition to our ECO collection.